An icky oddity by modern standards was once a staple of Victorian breakfasts, finds Seamus Harris. Gin and milk. Sounds awful, right? Surely a relic of less enlightened times – the mere thought of resurrecting this combination triggers a gag reflex. 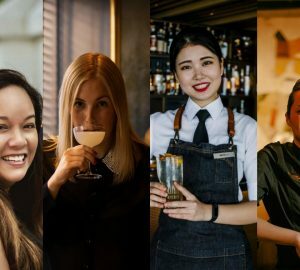 Milk is a bit player on the modern bar, called up to soften one-dimensional “girlie” drinks, but kept off centre stage and certainly never allowed near gin. The White Russian is as close to the limelight as milk gets – the coffee gives an air of almost-manliness. But while a hankering for something milky no longer tempts us to step off the pavement and onto a bar stool, milk was a standard mixer for centuries. Residents of New Orleans still get it. A Brandy Milk Punch raises no eyebrows there. Since the Crescent City likes to hang on to the good stuff, could there be something in Gin & Milk after all? Milk was once as natural a sidekick to gin as tonic. Before ice became the cornerstone of civilised tippling, milk pulled together many a celebrated concoction. Milky alchemy was central to drink slinging, the manipulation of protein, fat and dilution transforming rambunctious firewater into silky potions agreeable to the fussiest palate or most delicate constitution. The Gin & Milk was one of the simplest formulas, and one of the last to disappear. On the horizon of living memory, 1960s Britain still had rural pubs whose oldest patrons might call for a Pig’s Ear – gin and milk. The Gin & Milk became popular in Great Britain in the Industrial Age. As a straightforward single-serve, it suited modern needs better than did its more elaborate ancestors – forgotten white wonders such as the Posset, Syllabub and Milk Punch. But quickly understanding these ancestor drinks helps put the Gin & Milk in context. The Posset – hot milk curdled with spiced ale – dates from medieval times. Shakespeare had Lady Macbeth drug Duncan’s guards with a Posset. Syllabub, popular in England from the 16th to the 19th centuries, was a froth of milk with wine or cider, spices and often spirit for extra kick. Hovering between a drink and a dessert, the earliest preparation was simply to milk a cow into a bowl of sweetened alcohol. Awkward logistics encouraged alternative recipes, such as hand beating, or frothing with a “wooden cow” – an aerating bellows that would achieve the same effect as a steam wand on a cappuccino machine. Both Posset and Syllabub were curdled, and served in spouted cups to let drinkers separately enjoy the curds and whey. Milk Punch could be simple or clarified. 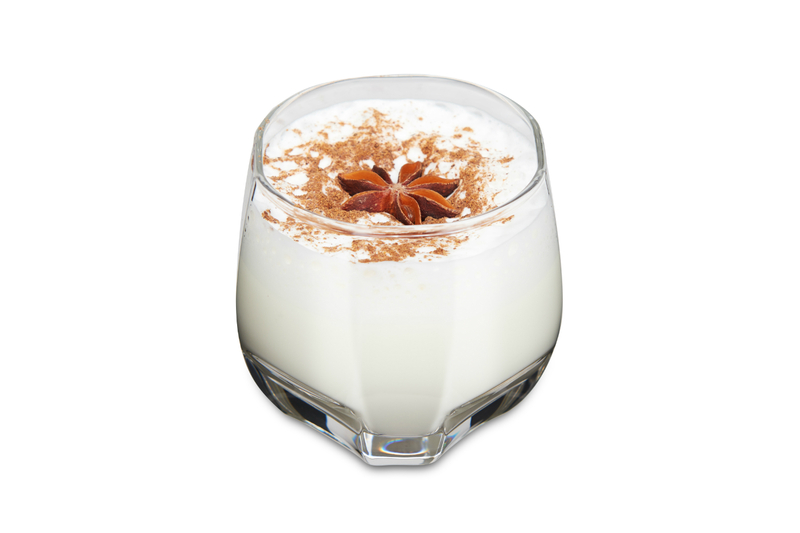 The simple version mixed spirit with milk, sugar and spices – usually nutmeg. Gin & Milk is a simple milk punch. Since the mix tends to separate, it works best as a single serve. But in the pre-Industrial Age of leisurely group drinking, the bigger hit was clarified milk punch – also called English milk punch. This involved curdling milk punch with lemon juice, then separating the curds and whey to yield a translucent drink that was stable and could even be cellared. 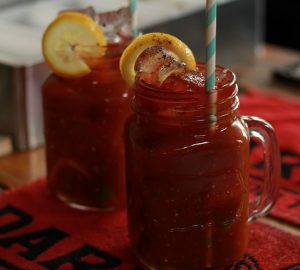 The inventor is widely credited as the 17th century playwright and poet Aphra Behn but, although she wrote about the drink, the earliest recipe slightly predates her life. So while Gin & Milk may now seem foreign, during the great age of gin – Regency and Victorian England – milk was considered a natural way to tame juniperous prickles. Nor was warm gin considered remotely unquaffable. Charles Dickens, the very embodiment of the era, delighted in a hot gin punch. The humble Gin & Milk, typically enjoyed warm, was so popular in Dickensian London it could be breakfast. The journalist George Augustus Sala, a protégé of Dickens, described London’s fishmongers taking Gin & Milk as they started work at 4am. Gin & Milk’s mass appeal lay in it being both tasty and accessible – it was not just for those with the coin and leisure time to socialise around punch bowls brimming with imported liquor. Dickens surely approved. He was an evangelist for moderate drinking, believing it afforded the working classes some thrifty and well-deserved cheer. But Gin & Milk was stepping back from the stage as the curtain fell on the Victorian era. In The Bones of Kahekili, a short story published in 1916, Jack London paints a nostalgic picture of a South Seas whaler retired to a cattle ranch in 1880s Hawaii. Hardman Pool, the protagonist, whiles away an idyllic afternoon using gin and milk to loosen the tongue of a Hawaiian elder, prying out tales of island life before the missionaries. Fading into the past by the start of the last century, could this Victorian gin ritual be worth a new look? 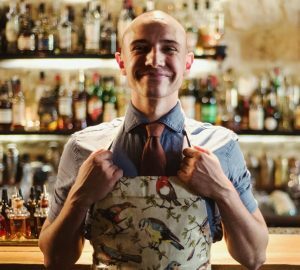 Some adventurous bartenders think so, and recently it seems cocktail competition judges agree. 1843 A Christmas Carol by Charles Dickens describes how Bob Cratchit “compounded some hot mixture in a jug with gin and lemons”, whereupon the impoverished Cratchit family marked Christmas with steaming gin punch. During gin’s golden age, warm gin signalled celebration, not failed party planning. On a related note, a contemporary nickname for gin was “mother’s milk”, again knocking modern preconceptions by juxtaposing milk and gin. Contemporary gin dogma bears no resemblance to how our ancestors drank. They did invent gin, so perhaps we should set down our martini glasses and listen? 1859 George Augustus Sala, in Twice Around the Clock, or the Hours of the Day and Night in London, records “gin mingled with milk” as “the favoured morning beverage” among fishmongers at London’s Billingsgate Market. 1862 Jerry Thomas gives recipes for single-portion milk punches, served hot and cold. While his recipes use brandy and rum, no doubt some customers requested gin. His bartending manual also covers clarified milk punch. 1916 The Bones of Kahekili, a Jack London tale of 1880s Hawaii, sees a Polynesian elder wax lyrical on Gin & Milk: “Much awa have I drunk in my time. . . Yet is the awa but a common man’s drink, while the haole liquor is a drink for chiefs. The awa has not the liquor’s hot willingness, its spur in the ribs of feeling, its biting alive of oneself that is very pleasant since it is pleasant to be alive. . . There is a warmingness to it. It warms the belly and the soul. It warms the heart. Even the soul and the heart grow cold when one is old.” A drink that won fans born in a pre-Christian tropical paradise must surely be worth trying, no? 2010 The gin and dairy combo quietly reappears in craft cocktail bars. Clarified milk punch is a trend among a handful willing to devote a couple of days to curdling, straining and clarifying. 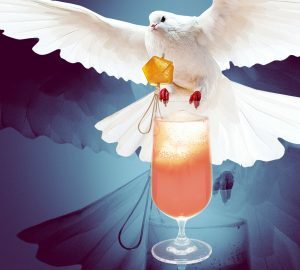 The New York Times reports on the phenomenon in 2014 and Esquire awards cocktail of the year to Los Angeles bar-restaurant Faith and Flower for their English Milk Punch – a complex blend of brown spirits, pineapple and aromatics created by Michael Lay. 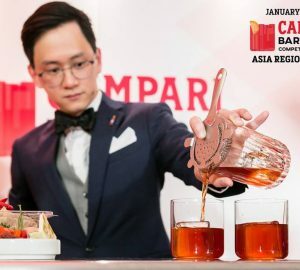 More surprising still are the inroads by warm gin and milk drinks: Jean Philippe Causse of Coss Bar, Montpellier wins the 2014 Trophées du Bar with his Gin Milk Punch – gin and warm milk frothed with an espresso wand and aromatised with vermouth, saffron and lavender. Then there’s the Brotherly Love from Phillip Pinsley of Le Colonial, San Francisco – a traditional Gin & Milk spiffed up with vanilla and citrus in the form of Licor 43.